Naval strategy continues to perplex the Germans. Admiral Scheer had favoured an aggressive strategy, attempting to catch elements of Britain’s navy at a disadvantage, thereby chipping away at the enemy’s naval dominance. But at the Battle of Jutland Scheer’s fleet came worryingly close to annihilation by the superior British fleet. That has made the Germans more cautious. The fleet is the Kaiser’s pride and joy and he does not want it destroyed. The failure of Scheer’s fleet actions have strengthened those who call for a more aggressive U-boat strategy. Germany is suffering increasing privations, thanks largely to Britain’s naval blockade. Setting the U-boats free to attack Allied shipping at will would pay the British back in their own coin, for industrial Britain needs to import food to keep its workers fed. U-boat advocates argue that the submarines would quickly bring the British to their knees, forcing them out of the war. Chancellor Bethman Hollweg is more cautious. He knows that an aggressive U-boat campaign runs a very high likelihood of bringing the Americans into the war against Germany. But the U-boat advocates dismiss such fears. The American armed forces are currently of a minuscule size and the submarines would bring Germany victory before the Americans had a significant strength built up, or so they say. At a conference today Bethmann Hollweg faces a relentless badgering from the U-boat advocates. He does not quite give in but he leaves the final decision to the army’s commanders. But with Hindenburg and Ludendorff only just appointed, the army is in no state to make a decision on this important question. For now the U-boats will remain on the leash. Allied attacks continue at the Somme. It continues to be nigh impossible to coordinate French and British efforts, so each of the two attacks on their own. A recent British attempt to seize Guillemont, on their right flank, have failed. Further to the left, a series of smaller scale attacks on the Mouquet Farm position have also been bloody failures. Haig is increasingly exasperated by the lack of success. He has written to Rawlinson, the Somme commander, complaining about the failures of the various attacks. He excoriates Rawlinson for launching too many small-scale attacks and demands a broad front assault to overwhelm the Germans. Somewhat confusingly, he wants the next attack to take place urgently but also to be carefully prepared. Rawlinson began to plan a new assault on Guillemont. However bad weather and renewed difficulties with Anglo-French coordination have forced its postponement till early September. For all his exasperation, Haig still retains a confidence that the battle is going well. He notes today that the Germans are a suffering “an all-round loss of morale”. And he has a card up his sleeve that he hopes will shift the balance decisively in his favour. Britain has been working secretly on tracked armoured vehicles that can advance under fire across no-man’s land. Originally known as land battleships, these have now been code-named “tanks” to hide their true purpose. Haig has been promised that the tanks will be ready for action soon. With them he hopes to achieve the breakthrough he has long dreamed of. Romania’s entry into the war comes as a shock to Germany. Romania is a major wheat producer and with it on the side of the Allies its harvest will no longer be available to the Germans, exacerbating their difficult food situation. 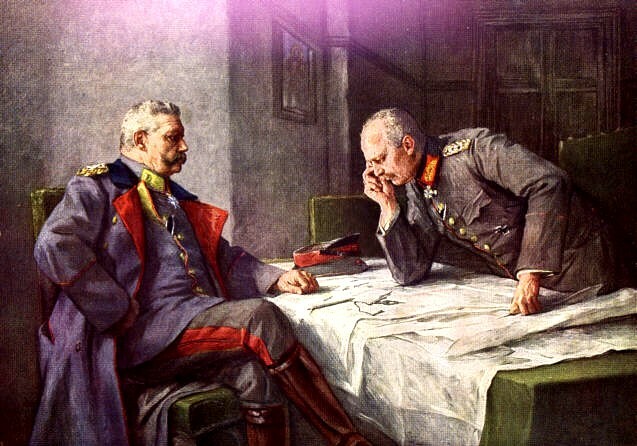 The Germans had suspected that the Romanians were negotiating with the Allies, but Falkenhayn had assured the Kaiser that they would not go to war until after the year’s grain crop had been harvested. But now Romanian troops are crossing into Transylvania with their country’s wheat still in the fields. The Kaiser is angry at having been taken by surprise. His confidence in Falkenhayn had already been shaken by the ever-lengthening casualty lists at Verdun and the failure of operations there to defeat the French. Now he reacts to Romania’s untimely entry into the war by dismissing Falkenhayn as his army’s chief of staff. His replacement will be the Eastern Front commander, Field Marshal Hindenburg, the victor of Tannenberg. Hindenburg is joined by Ludendorff, his deputy, who takes the title of Quarter-Master General. As for Falkenhayn, he is given the job of cleaning up after his failure to predict the entry of Romanian into the war. He is sent to command the combined German and Austro-Hungarian forces being assembled in Transylvania to meet the Romanian invasion. Romania did not join the war at its outset in 1914 but like so many of the neutrals the conflict draws it as a flame entices a moth. The country was the subject of German diplomatic efforts before the war, but since then its leaders have been more attentive to the attentions of the Allies. Romanian nationalists dream of enlarging their country by absorbing the Hungarian region of Transylvania, which has a large Romanian population. Joining the war on the Allied side provides an opportunity to seize Transylvania and establish a Greater Romania. Russian successes in Galicia have convinced the Romanians that Austria-Hungary is on its last legs. So now, after protracted negotiations with the Allies, they declare war and launch an invasion of Transylvania. Romanian troops push back the outnumbered Austro-Hungarians and are greeted by cheering crowds of Romanians (Hungarian communities are less enthusiastic). But could it be that the Romanians have miscalculated? In June the Austro-Hungarians were reeling from the Brusilov Offensive. Now, though, the situation is less dangerous for them, thanks to the massive deployment of reinforcements, particularly German reinforcements. The Brusilov Offensive continues but it is a much more plodding affair than before, with the Austro-Hungarians no longer on the brink of collapse. The Romanians may be about to find that they face a tougher than expected fight. British attentions remain focussed on the Somme, but at Verdun the French and German armies continue to battle. After the failure of the last German attempt to take Verdun itself last month the Germans have been on the back foot, with the French attempting to take back lost ground. The village of Fleury has been recaptured by Moroccan troops, who reportedly sang La Marseillaise as they stormed the village, now a heap of ruins. Shellfire meanwhile continues to extract a grim harvest from the soldiers of both armies. 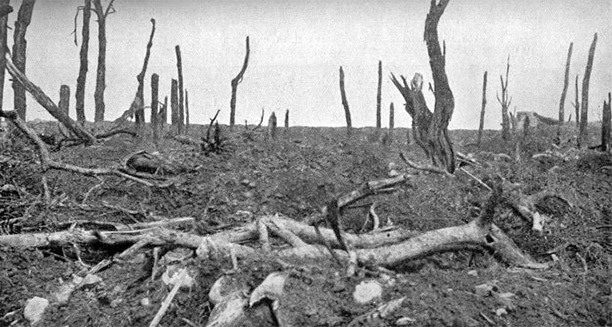 The demands of the Somme and the struggle against Brusilov in Galicia mean that Falkenhayn has no more men to spare for Verdun. Crown Prince Wilhelm, the local commander, is happy to stay on the defensive, having long ago decided that further offensives were a futile waste of his soldiers’ lives. 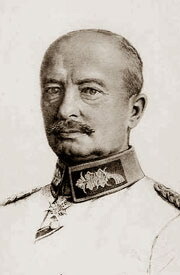 But Knobelsdorf, the Crown Prince’s chief of staff, continues to hanker after another attempt to seize Verdun. He feels that victory now would be worth any cost, as it would shatter French morale and hand the war to Germany. 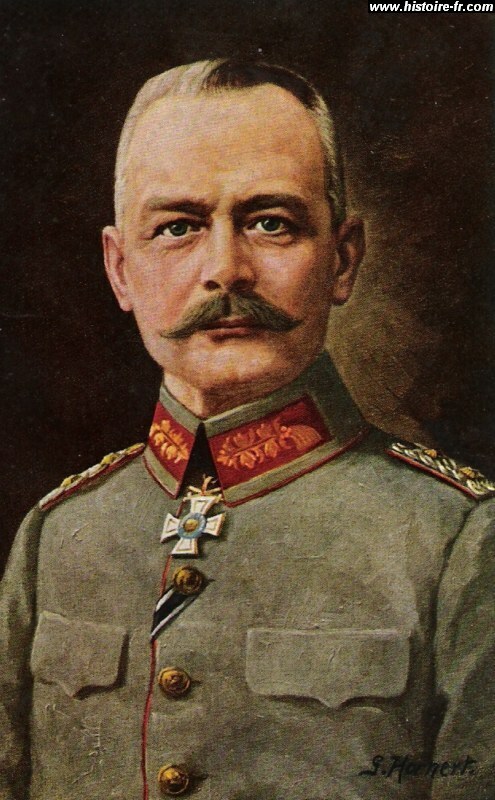 The Crown Prince is only the nominal commander at Verdun: Knobelsdorf is the man who really pulls the strings. But the Crown Prince is able to appeal to his father, the Kaiser. The Kaiser is dismayed by the bloody failure at Verdun and for once he listens to his foppish son. Now Knobelsdorf is transferred way to the Eastern Front, though as a sweetener he is awarded the Pour La Mérite with Oak Leaves, Germany’s highest military honour. German attempts to take Verdun are now over. Henceforth they will merely try to hold onto the ground they have taken in the battle, even though it has little military value and is not easy to defend. But of course, the French are not privy to the thoughts of German commanders. They must remain on their guard, lest the enemy launches another attempt to bring the battle to a victorious end. In France the Battle of the Somme rages on. In Britain The Battle of the Somme is now appearing on cinema screens across the country. Shot by Geoffrey Malins and J.B. McDowell and edited by Malins and Charles Urban, this film purports to present the real experience of men at the Front to those left behind at home. Most of footage in the film was taken at the Front in late June and early July, but some images (notably men leaving their trenches to advance towards the enemy) were shot well away from the front line. The footage is edited to present the battle in as positive a light as possible, with plenty of German prisoners and cheerful Tommies shown. However the film-makers cannot hide the less appealing aspects of the battle from their viewers, with some distressing images appearing of injured men and unburied corpses. The film received its première on the 2nd and now it goes on general release. In a country where everyone has a close friend or family member at the front, interest in the film is tremendous. Box office records are quickly broken as people rush to the cinemas to get a sense of what their soldiers are going through. People are encouraged to keep an eye out for their enlisted loved ones, as they might see them in one of the film’s many scenes of men marching to the Front. Yet not everyone is so supportive of the film. Because the footage was shot before the battle started and in its early stages, many of the soldiers seen in the film will now have been killed in the fighting. Some worry that viewers will be distressed should they catch a glimpse of a deceased loved one. But the cinema-going public do not heed the sceptics, flocking to the cinema in unprecedented numbers. Note: after six weeks on release, twenty million people are believed to have seen this film in Britain and Ireland, which I think makes it the most popular film ever shown in these islands. Germany continues to use its U-boats to hit Allied merchant shipping. Wary of antagonising US opinion, many of the submarines are now based in the Mediterranean. One such vessel is the U-35, commanded by Lothar Arnauld de la Perière. Today it returns to its base in Montenegro, after just under a month on patrol. The U-35’s patrol has been astonishingly successful. The U-boat has sunk 54 Allied merchant ships, to a total tonnage of over 90,000. De la Perière has sunk two-thirds of the Allied ships lost this month over the whole world. And he has done so according to the restrictive cruiser rules that U-boats are currently operating under: each ship is ordered to halt and the crew given time to evacuate before the Germans sink their vessel.